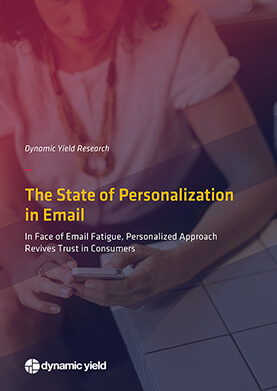 To understand the habits, preferences, and opinions on email personalization, Dynamic Yield surveyed 550+ consumers in North America, Europe, and Asia. The results show a clear desire for more tailored, highly curated, and relevant email messaging. In this report, you’ll learn the consumer point of view on email marketing and be presented with a wealth of valuable data on the state of email personalization.